Bien Makisig Aduca sings his version of ‘If I Sing You A Love Song’ on The Voice Kids Philippines Season 3 Blind Auditions, Sunday, June 12, 2016. “I love your voice but I want to hear your natural voice when you perform,” said coach Sharon. “Your voice is powerful but it needs a little more time,” said coach Lea. “I thought you’re 8 years old. You sounded cool. I love your connection to the song,” said coach Bamboo who turned for him. 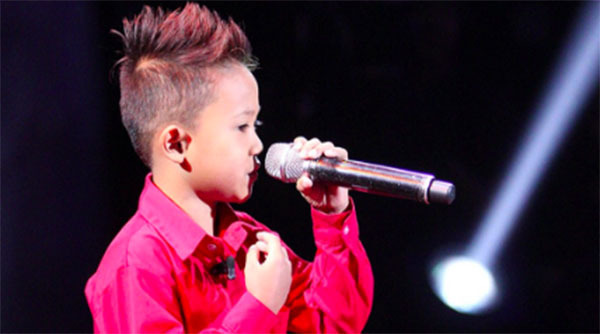 What can you say about Bien Makisig Aduca’s blind auditions on The Voice Kids Philippines? Share your thoughts and views on the comment section below.